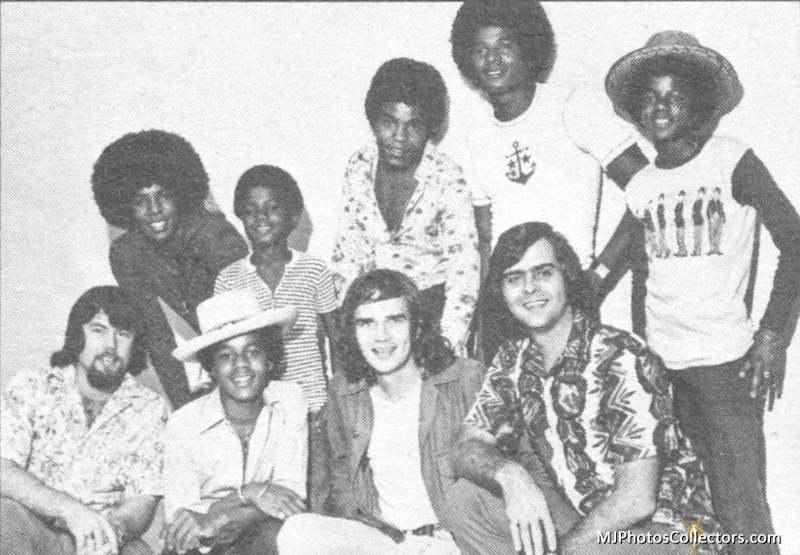 Late August, 1972, the J5 went to Hawaii. Star Magazine had an article about that trip. 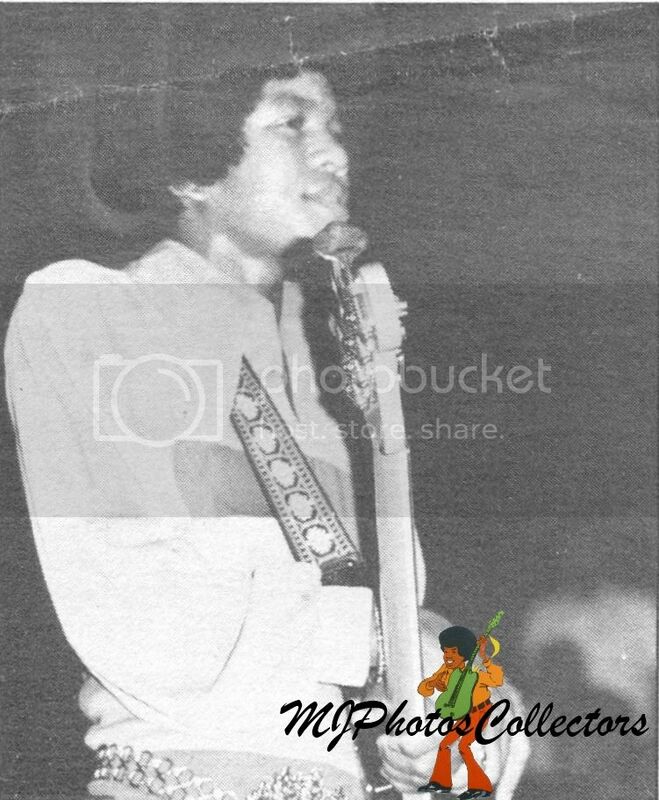 They claimed that Jermaine himself wrote the article but I doubt that, he probably had better things to do and he would have remembered that he already went there before in 1971 (see first paragraph)! 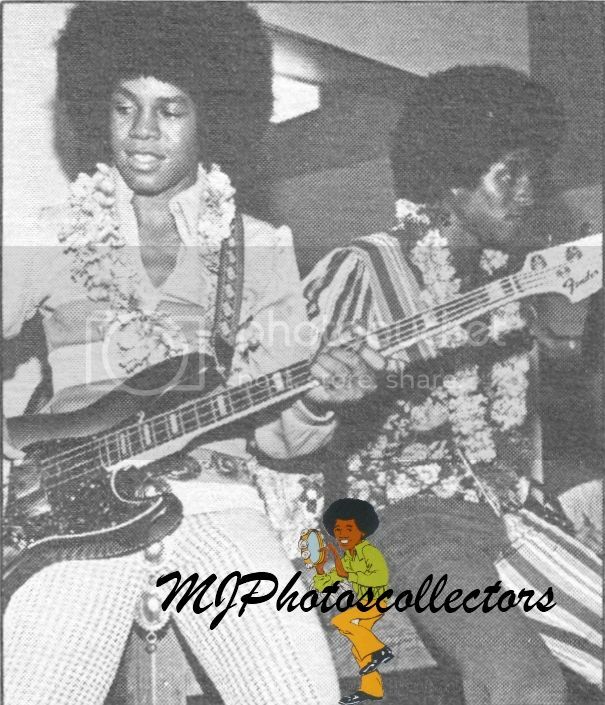 JERMAINE and the J-5 in HAWAII! 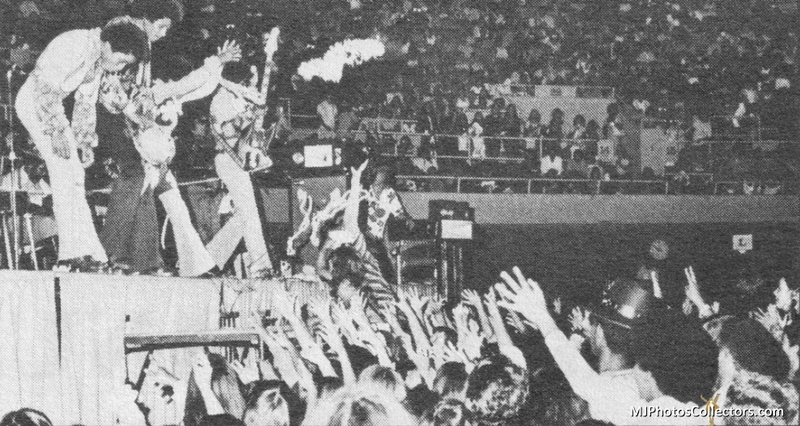 My brothers and I couldn’t believe it when we found out that we were doing a gig at the Honolulu International Center Arena! We’d always wanted to visit Hawaii, but we never seemed to have the time with our hectic career. This time we all decided to go to Honolulu a few days before our concert for a relaxin’ vacation on the beach! We all stayed at the Kahala Hilton Hotel on the island of Oahu and went swimming and surfing every day! We also visited our cousins who live in Hawaii! The day of our first concert (we played two of them! ), we went to radio station KKUA for an on-the-air interview with Program Director Steve Nicolet! We all rapped about the outtasight vacation we were enjoying! 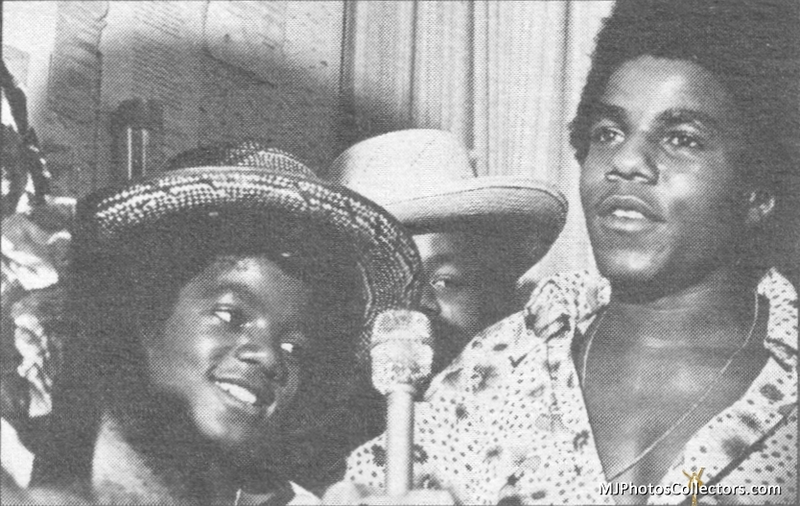 Check out Michael’s beach bum hat! Steve just asked Tito of he liked poi (a strange Hawaiian delicacy!). Tito shakes his head, but tells Steve about one Hawaiian custom we all dig: that’s the custom of getting a kiss whenever a chick puts a lei around your neck! Can you dig it? Even our little brother Randy gets into the act as we’re interviewed that same day at the station. 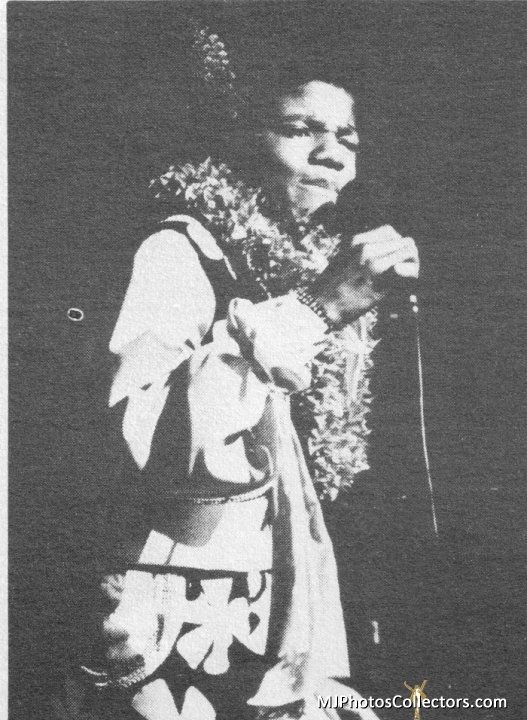 The interview was broadcast all over the island to the many fans that we would personally see in concert that night! Our whole Jackson family had such a fine vacation that we’ll have memories to last us for a long time. We all rode a catamaran, which is a superfast sail boat; we surfed; ate at a traditional Hawaiian luau; and Michael even learned how to do a hula dance! Here we all are posing duds at station KKUA! That’s disk Jockey Rick Shannon on the left, Scott Edwards in the middle and Program Director Steve Nicolet! Jackie and I relax for a few minutes backstage just before it’s time to go on and start wailin’ our first number! I’m tuning my bass guitar here! 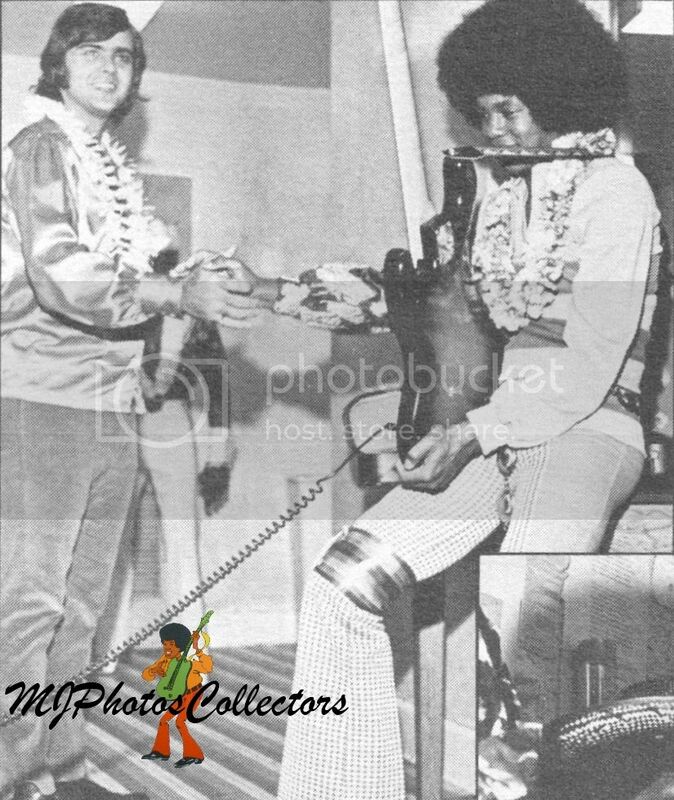 I love those flower leis, and I saved many of them which my Hawaiian friends gave me as a momentos! 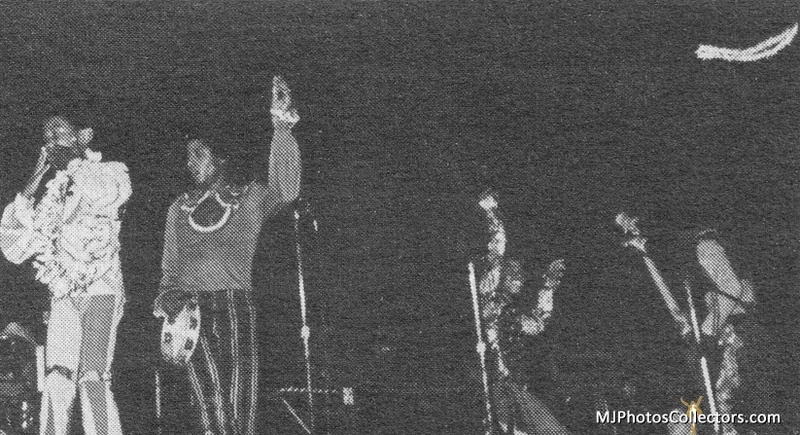 Marlon, Jackie and Michael really had the audience going! They threw some of their flower leis out to the fans, and just about started a stampede! Marlon learned a couple of words in Hawaiian for this show! 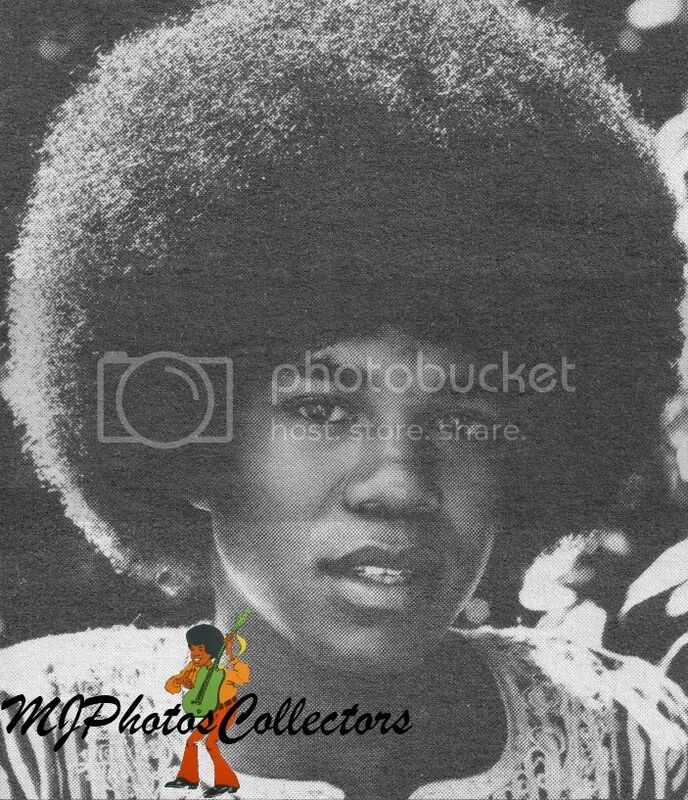 Jackie and Michael rock out on ‘Maybe Tomorrow’, a love song that all of us J-5 really dig! Jackie picks out a fan sitting in the front row, and points to her as he’s singing the words of our song! Our trip to Hawaii was extra special for Michael because a special wish came true for him! He’s always wanted to celebrate a birthday in Hawaii, and this year it happened. Michael turned 14 when we were in Honolulu so we had a party for him at our hotel with a big cake, and yummy Hawaiian punch! All of my brothers (and even little Randy!) throw a kiss goodbye to our Hawaiian fans right after we sings our last number! 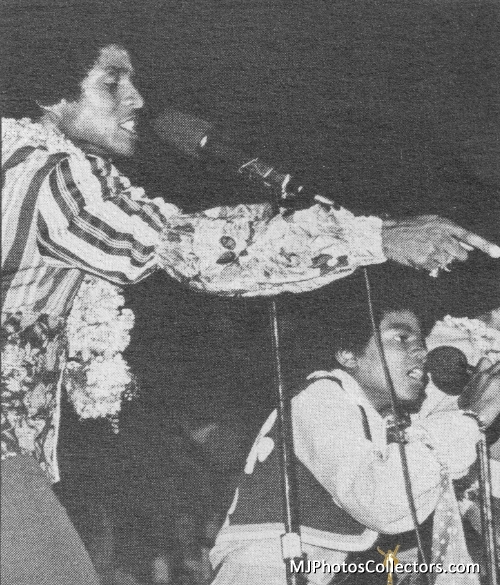 Michael yelled ‘Aloha!’ and all the fans yelled ‘Aloha’ right back to him! 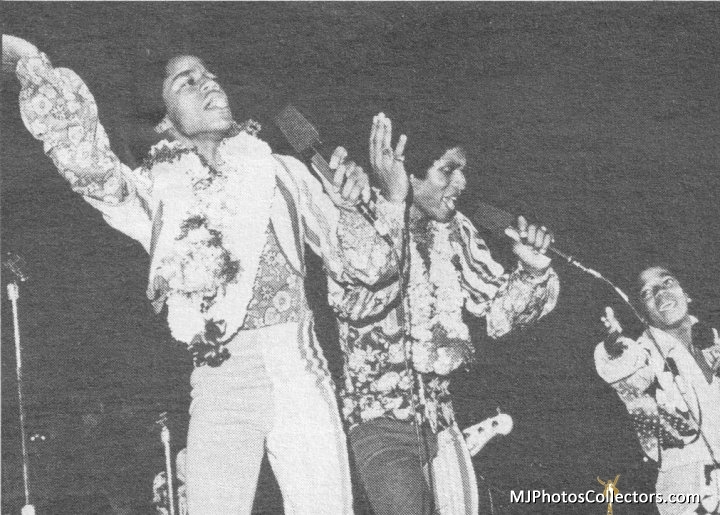 As our fans rush toward the stage and reach out to take our hands in a last goodbye, Michael, Jackie and Marlon take off their leis and throw them into the audience! The lucky girls who caught them were so happy that I actually saw a tear in one girl’s beautiful brown eyes! It was a thrilling feeling that we’ll never forget! Thank you for sharing. 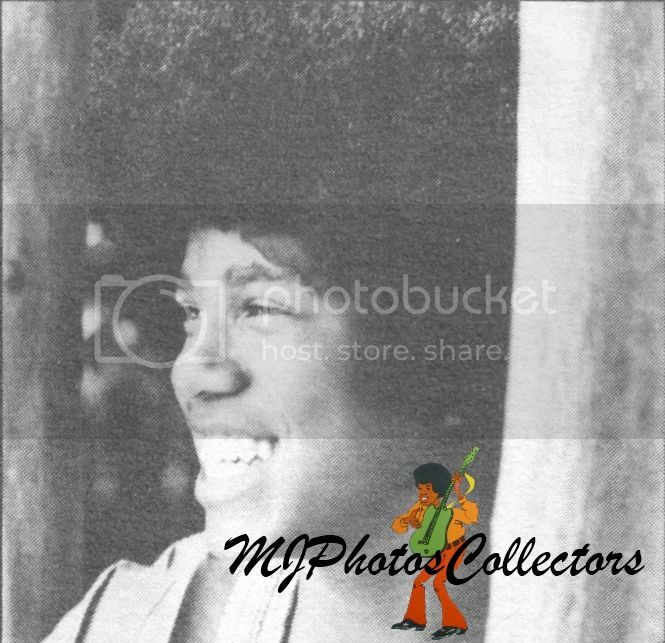 Nice article and photos. 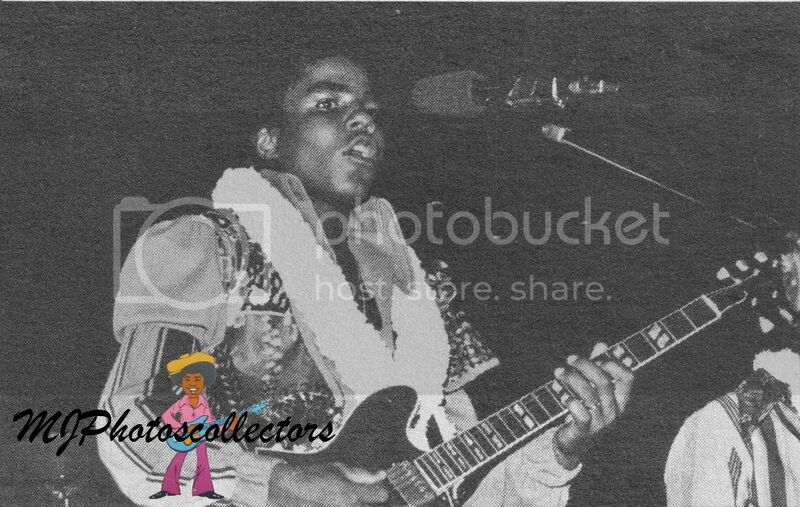 Would love to see more video footage of Jackson 5 tours but I don't know if it even exists.